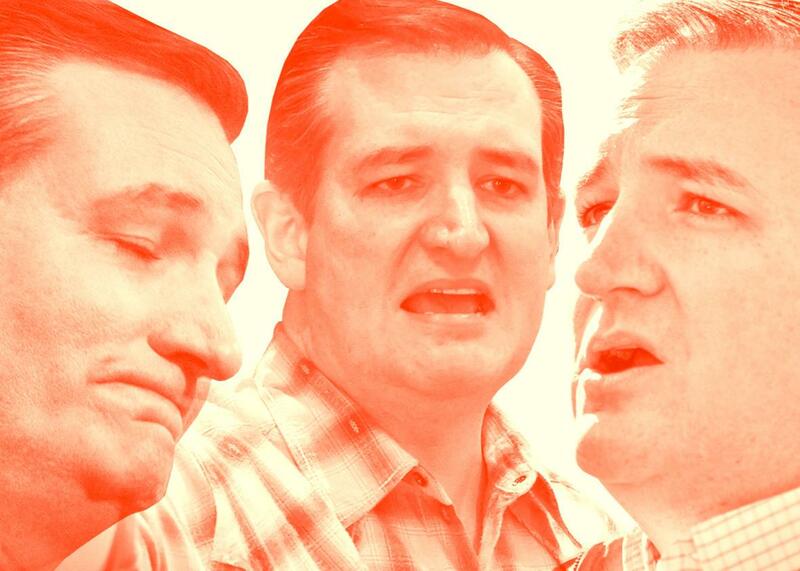 The definitive timeline of what Ted Cruz said and did in the 2013 immigration debate. Ted Cruz denies that during the 2013 Senate debate over an immigration reform bill he ever supported a path to legal status for undocumented immigrants. He also claims that an amendment he offered, which would have permanently barred these immigrants from citizenship, was designed to kill the bill. Is he telling the truth? Here’s a detailed timeline of what Cruz said and did during the debate, with links to videos and other contemporaneous evidence. Jan. 3, 2013: Cruz is sworn in as a U.S. senator from Texas. March 28: The Pew Research Center publishes a survey, taken March 13-17, 2013, in which Americans are asked to choose between two ways “to handle immigrants who are now living in the U.S. illegally.” Only 27 percent choose this option: “They should not be allowed to stay in the country legally.” Seventy-one percent choose the other option: “There should be a way for those who meet certain requirements to stay in the country legally.” But when the 71 percent are asked whether the legal status should be citizenship or “permanent residency” without citizenship, one-third of them—24 percent of the entire sample—choose permanent residency. This confirms that opponents of citizenship can muster a political majority by offering permanent residency, known as a green card, instead. This is the first time Cruz has been asked the green-card question. He objects to the idea because, under current law, a green card can lead to citizenship. But again, he chooses not to say whether he could support it. April 22: In a Senate Judiciary Committee hearing, Cruz says a path to citizenship “jeopardizes the likelihood of passing any immigration reform bill.” Instead, he urges the committee to pass a bill that secures the border, facilitates legal immigration, and reforms agriculture “to ensure that we have workers who are here, out of the shadows, able to work legally.” This appears to be Cruz’s first use of the phrase “out of the shadows”—a well-understood shorthand for changing laws so that undocumented immigrants can reveal themselves without penalty. April 24: In an interview aired on CBS, Jan Crawford asks Cruz, “What would you do with the 11 million people who are here illegally?” Cruz tells her, “I think there probably could be a compromise on that, if a path to citizenship was taken off the table.” In the interview, Cruz doesn’t clarify what the compromise would entail. May 7-8: In the Judiciary Committee, senators file amendments to the bill. The bill’s staunchest opponent, Republican Sen. Jeff Sessions of Alabama, files two amendments that would sharply restrict access to green cards. Cruz files an amendment that does not address green cards. The Cruz amendment specifically denies “citizenship” to anyone who entered the United States illegally. to provide a legal status for those who are here illegally, to be out of the shadows. This amendment would allow that to happen. But what it would do is remove the pathway to citizenship, so that there are real consequences that respect the rule of law and that treat legal immigrants with the fairness and respect they deserve. I don’t want immigration reform to fail. I want immigration reform to pass. And so I would urge people of good faith on both sides of the aisle, if the objective is to pass common-sense immigration reform that secures the borders, that improves legal immigration, and that allows those who are here illegally to come in out of the shadows, then we should look for areas of bipartisan agreement and compromise to come together. And this amendment—I believe if this amendment were to pass, the chances of this bill passing into law would increase dramatically. This speech organizes Cruz’s prior statements into a coherent position. Previously, he has laid down two principles: respecting the rule of law and the priority of legal immigrants. He has also offered to bring illegal immigrants “out of the shadows” and has hinted at a “compromise” on their status. And he has filed an amendment that would foreclose citizenship but would not address green cards. His presentation on May 21 pulls the whole package together. According to his reasoning, denial of citizenship is sufficient punishment for law-breaking. It honors the priority of legal immigrants. Therefore, with that stipulation, Cruz now explicitly accepts a path to “LPR status”—lawful permanent resident status, i.e., green cards—for undocumented immigrants. The problem he raised in his April 1 interview—that “anyone who has a green card is eligible for citizenship within five years”—is solved by his amendment, which closes the door to citizenship. However, the committee rejects Cruz’s amendments. So he votes against the bill. In a summary of the exchange, published shortly after the interview, York reports that “Cruz’s amendments were designed to … eliminate the legalization-first, security-later structure of the Gang of Eight bill while still creating a way to legalize those now here illegally.” Cruz’s office does not dispute York’s account. Cruz’s confounding signals—the phone call, the denial of firm opposition to the bill, the refusal to say how he’d vote—seem designed not to clarify his position, but to thwart reporters’ attempts to pin him down. George: If I’ve understood you correctly, you would actually grant current illegal immigrants, or at least some substantial portion of those who are here unlawfully, permanent status, green-card status. … So the disagreement is about whether they should be granted citizenship … not whether they should be moved from illegal status to legal status? George: So, green card yes, but citizenship no? Cruz: That would be the effect of the amendment. By substituting passive language (“did not affect”) for George’s active verbs (“grant,” “move”), Cruz keeps his options open. Later, he can claim that through his amendment, he “provided” an acceptable way to bring undocumented immigrants out of the shadows. Or, if political winds blow to the right, he can distance himself from the idea of a path to green-card status, dismissing it as an effect of the underlying bill, not the intent of his amendment. Under the existing bill, if my amendment had been adopted, those who are here illegally would be eligible for what’s called RPI status, a legal status—and indeed, in time, would be eligible for legal permanent residency. So the underlying bill gives legal status to the 11 million people who are here illegally. The amendment I introduced simply said there needs to be a consequence for having violated the law. That outcome means those 11 million remain in the shadows, have no legal status. Whereas, if the proponents of this bill actually demonstrate a commitment not to politics, not to campaigning all the time, but to actually fixing this problem, to finding a middle ground, that would fix the problem and also allow for those 11 million people who are here illegally a legal status with citizenship off the table. I believe that is the compromise that can pass. Grant them full amnesty, including path to U.S. Citizenship (35 percent); Give them work permits to allow them to work here legally but do not make them eligible for U.S. citizenship (46 percent); and No change in status for those currently here illegally (12 percent). These details indicate that after Cruz was elected and shortly before the 2013 immigration debate began, Cruz’s pollster assessed how Hispanic voters in Texas would respond to an offer of legalization, but not citizenship, for undocumented immigrants. Cruz, in his late June and early July interviews, portrays the poll’s support for work permits as support for his own position. June 20-27: Cruz spends the final week of Senate deliberations arguing not against legalization but for securing the border before legalization. In interviews aired on June 20 and June 21, he says his amendments would secure the border prior to allowing “permanent legal residency.” On June 27, he votes against the bill and explains, in a statement, that it unacceptably “grants amnesty first.” The bill passes and heads to the House, where it is expected to die. July 1: The Examiner asks Cruz whether he would object to the bill if it “stopped at green card.” He repeats that under his amendment, undocumented immigrants “would have been allowed a work permit and indeed would have been eligible for a green card—but not for citizenship, because I think there needs to be some consequence for having broken the law.” The Examiner also asks Cruz whether he should have accepted citizenship in exchange for policy changes he wanted, instead of “taking your marbles and going home.” Cruz replies: “If you look at the context of immigration debates over time, legalization is a major compromise. It is the Democrats who refuse to compromise.” Cruz’s answer implies that he was open to a deal on legalization. Sept. 13: The Tribune reports that on a recent trip to El Paso, Texas, Cruz emphasized that his no-citizenship amendment “did not change the underlying work permit from the Gang of Eight.” According to the article, “Cruz also noted that he had not called for deportation or, as Mitt Romney famously advocated, self-deportation.” In addition, “Cruz said recent polling indicated that people outside Washington support some reform, including legal status without citizenship.” The Tribune does not clarify whether Cruz was referring to his own surveys. Read Slate’s assessment of Cruz’s truthfulness, based on a comparison between this timeline and his current claims about the 2013 debate. See more of Slate’s coverage of Ted Cruz and the 2016 campaign.